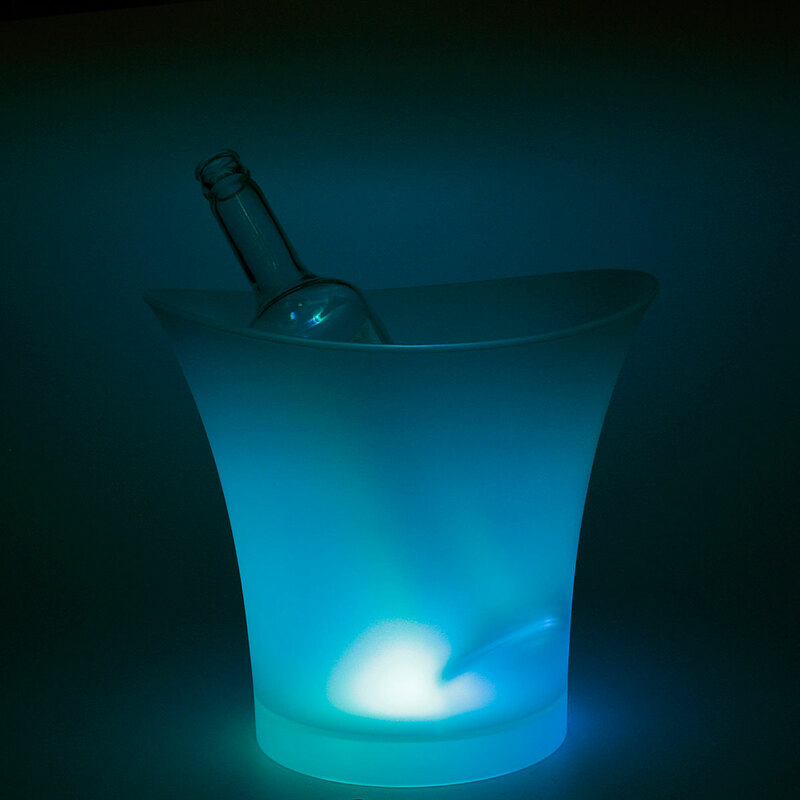 -It adopted super bright LED as light sources. 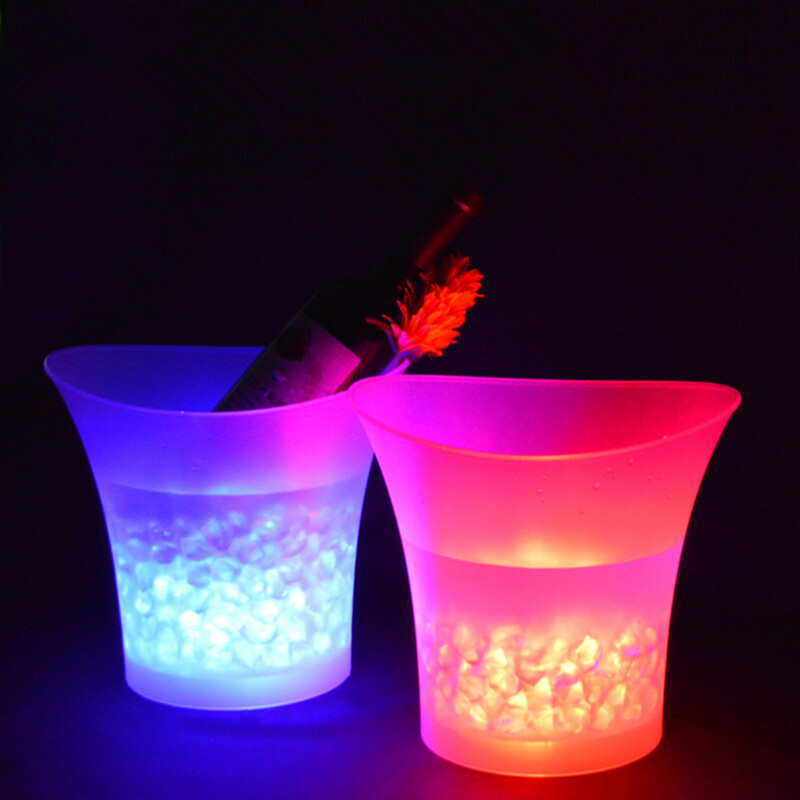 It has the lighting effect of red, yellow, blue, green,purple,fuchsia,violet-Blue and mix colors. 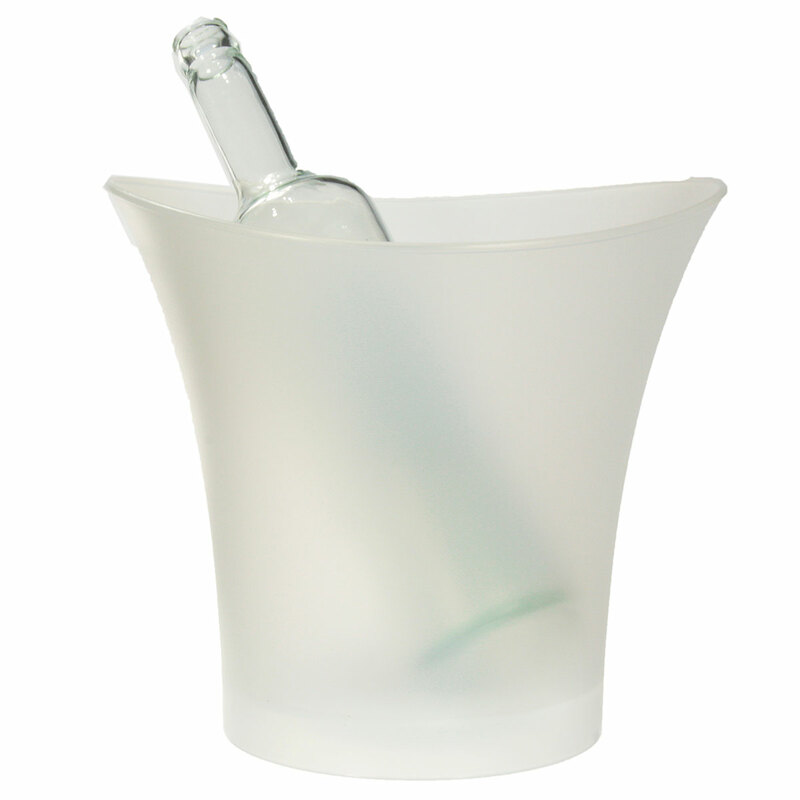 -Use it as a wine cooler, to chill bottles and keep them cold, or as a bucket to hold ice cubes for drinks. 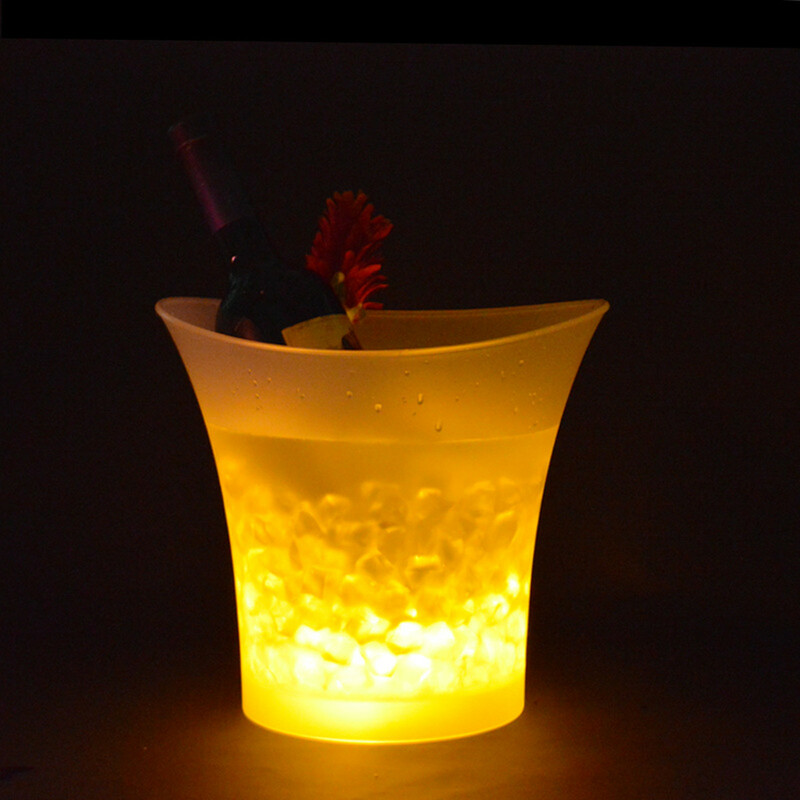 -Thanks to its low power LEDs, this design object is economical and ecological. 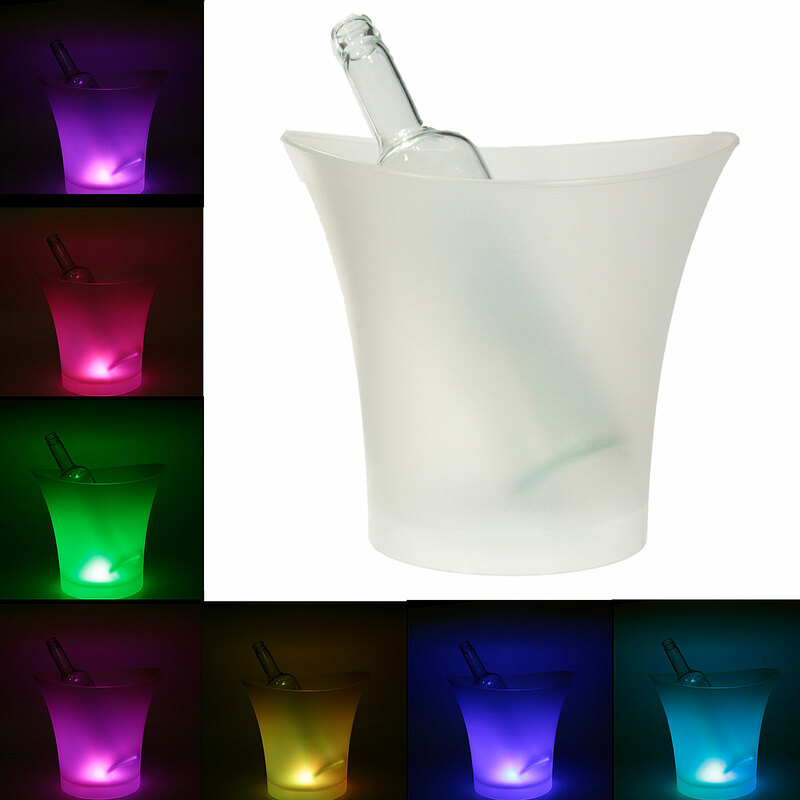 -LED Ice Bucket is perfect for Bar, Club, KTV, Restaurant, hotel, home, other public place of amusement for decoration or interspersion, et. 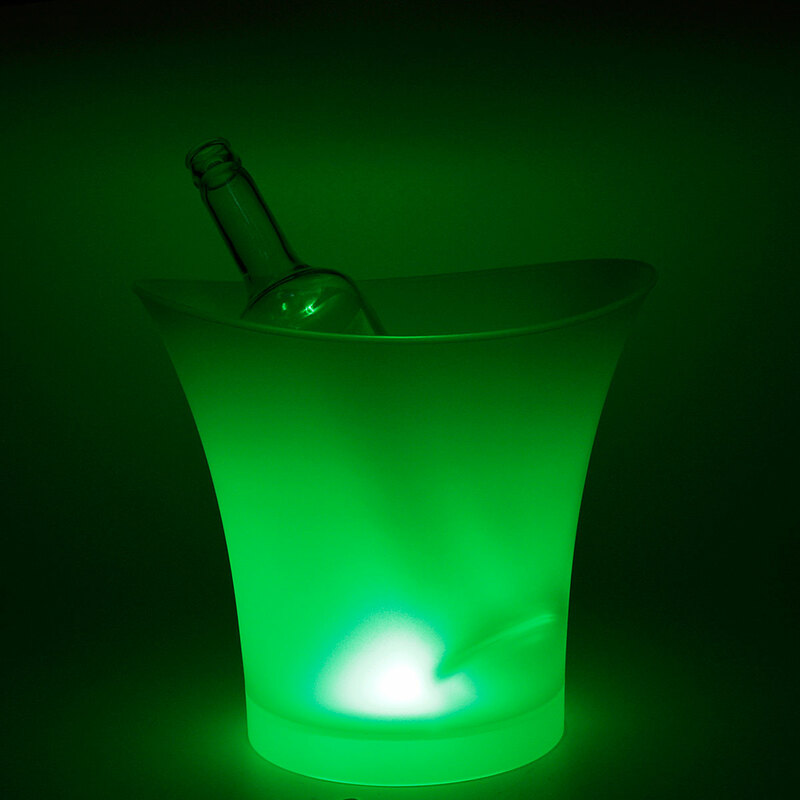 -PE environmental protection material, color, also can be fixed LED in a certain color. Can be used for indoor and outdoor use. Circulating charging for bar, family.The garden, or park, urban roads, subway, flowers and a lamp can be. Romantic and practical.